All Americans have not heard the truth. You don't have to go to the mall and reach out to perfect strangers because everybody has a friend or family member they need to talk to about what God has done for them through Jesus Christ. 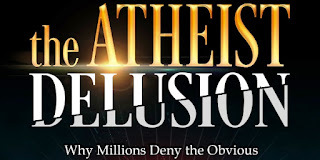 This video, The Atheist Delusion: Why Millions Deny the Obvious is both interesting and enlightening, beginning with the logic behind intelligent design and the illogic of evolution, the interviewer logically takes self-proclaimed atheists down a path of discovery. Show it to your youth and adults! There are a few discussion questions below that will help them pull it all together. It will not only help people when discussing their faith, but will encourage and affirm what they already believe. Where does the complex and unique information in DNA come from? Why do we have knowledge of right and wrong? Why do we want to live in darkness? If God exists, does hell exist? Is it just to punish evil? If judged, would you be guilty and go to hell? Do you know what God did for guilty sinners so they wouldn't have to go to hell? If you want to purchase the dvd, you'll find it at Living Waters. It's $4.99 and I believe it would be good for Christians to support their efforts. Everybody has a friend (or family member) who is an atheist and believes in evolution because they have not heard the truth. In a discussion with that person, what would you say to support your belief in creation, their creator, and what he did to assure their salvation? Either pause periodically to give time to respond to these questions (or any that you add), or give time after the video. At the very least, make sure people have paper and pencil to respond to question 8 on this list. What is the argument against nothing producing or becoming something? What are 3 or 4 points that prove the earth/universe was created by intelligent design? When asked about evolution, what is a problem with the idea of evolution from a single cell? Once they agree that there must be intelligence behind creation, why is it so difficult for people to admit there is a God? 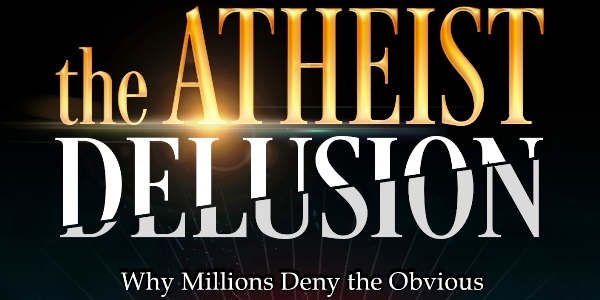 If God exists, and the Bible is true, why do some people still want to sit in darkness? Do you think it would help to give these people something after a discussion like this that would help them answer their questions? What might that be? Write down anything that impresses you about the questions that were asked and answered or how they were asked and answered. Write down a brief outline of what your heard in the video. What would you tell your atheist friend or family member now? If you want a study or video guide created by the video creators, you can find it here.